A motor vehicle owner should be up-to-date with the latest changes in motor insurance rules. This will prevent them from ending up in any financial or legal issues in future. Here we have tried to provide insights into latest update on motor insurance policies to keep you informed. The statistics reveal that 70% of the two-wheelers and 25% of the cars we see on the roads are uninsured. 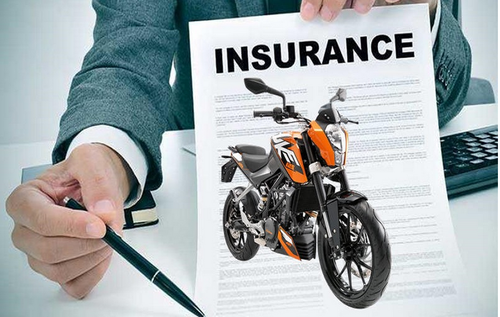 While most people show a great deal of excitement while purchasing their first two-wheeler or four-wheeler, the same excitement is not visible in securing them through a proper financial cover. The situation is not much different even for commercial vehicles. At least 40% of the commercial vehicles we encounter on the roads happen to be uninsured. Government of India understands the criticality of the situation posed. That is why it has made some changes in the existing laws related to motor insurance. How insistence on long-term motor insurance will alter the scenario? As per accident reports of 2017, out of the 4 lakh accident cases that year, 1.34 lakhs were fatal. After witnessing such alarming statistics, the government has decided it is time to alter the rules of motor insurance for new vehicles so that people take security and cover more seriously. While the laws already make it compulsory for all vehicle owners to have their vehicles covered, now the new vehicle owners will have to mandatorily buy long term insurance covers. While the long-term insurance cover of minimum 3-5 years will prove a bit heavy on your pockets, the many merits associated with it will cover up for the same. There is no need to panic for existing vehicle owners as the updated laws of motor insurance apply only to motor owners who have purchased the car or bike on or before September 2018. Vehicle owners who are renewing their existing insurance policies do not endure any change. The Insured’s Declared Value of the vehicle does not undergo any alterations. The vehicle owner has to pay increased premium for 3-5 years only for third party liability. There is no change in the own-damage section. If a third-party death is caused as a result of an accident, the liability is unlimited and you may end up paying crores of rupees. Such financial burdens can be avoided if you have a proper motor insurance cover. A personal accident cover comes very cheap today but it will cover you in case you meet with an accident. On the contrary, you may end up spending a fortune treating your injuries in case you do not have a proper insurance cover to protect you in such times of need. The Insurance Information Bureau ( IIB) can now match information provided by the RTO ( Regional Transport Office) and insurance company making it easy to spot the uninsured vehicles even after countless years of registration. The police can also play their part in spotting the uninsured vehicles if they have data regarding the same on their smartphones or tablets. Another welcome change by the IRDAI is the increase in the sum insured to the owner driver to Rs 15 lakhs. The long-term insurance cover for motor vehicles will ensure that more vehicles are now covered for accidents and such other mishaps. The third party premium rates for vehicles below 1000cc is Rs 5286 for a period of 3 years which is a saving of roughly Rs 200 over the previous premium. The vehicles above 1000cc have to pay a premium of Rs 9534 which is remarkably more than the previous premium. The difference of Rs 945 is a bit too much. The vehicles above 1500cc also stand to lose with the latest update in motor insurance policy. The owners will have to pay a premium of Rs 24305 for 3 years duration and this is roughly Rs 600 more than the previous premium. Tapan Singhel, MD & CEO of Bajaj Allianz believes that making a long-term policy mandatory will address the issue of under insurance to some extent. Most motor owners buy an insurance when they buy the vehicle because it is mandatory but never take renewing seriously. Such amendments in policy is thus inevitable. Tarun Mathur, the Chief Business Officer at General Insurance, policybazaar.com states that this can be used by car sellers to buy their vehicle insurance policies at increased rates. Always opt for reputed firms like Future Generali so that you are never faced with frauds or unexpected financial situations. If any of the points mentioned is not clear or poses an element of doubt, get things verified first. Always retain a copy or proof such as receipts of the premium paid for the policy you take. Most vehicle owners do not understand the seriousness of road mishaps. An accident may happen any time and if it does happen, you may end up paying a lot of money for injuries. Fatal accidents may leave you at losses that you can never imagine. Buying a good motor insurance is thus your best way to be prepared for such happenings.